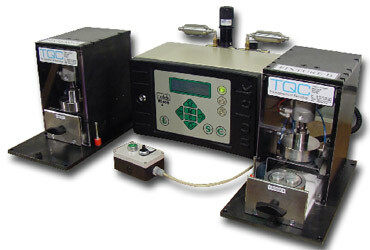 TQC have developed a range of standard leak testing benches. 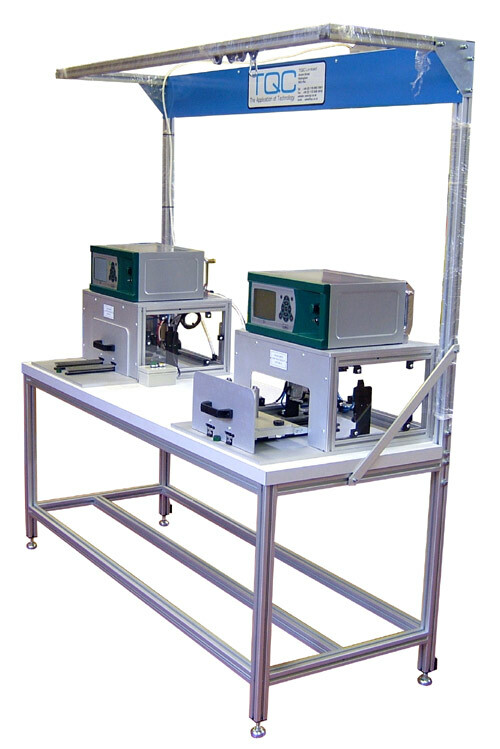 Series 20 leak test benches apply a small level of automation which is controlled by the leak test instrument. The equipment uses standard leak test instruments for the air decay leak test and to control the sealing mechanism within the test fixture. To increase throughput, twin station machines can be supplied allowing a single operator to work alternately between the two fixtures, or two operators can working independently on each fixture. There are two ways in which a Twin Station can be supplied, one is to supply two complete stations that use dedicated leak test instrument and control, this allows fully independant use of each station. Alternatively a more cost effective solution is to use a single leak test instrument and control to 'pendulum' between two test fixtures. Typically for this second option the operator is unloading / loading one fixture whilst the leak test is carried out on the other.